DR. DAVID MACIVOR, D.O.M., A.P. Dr. David MacIvor, D.O.M., A.P. has come to Delray, and FT Lauderdale. “Dr MAC” as he is known by, successfully representing the Department of Defense as one of only 18 Board Certified Acupuncturist selected nationwide to treat Active Duty military soldiers for pain, in a 9 month pilot program under the Surgeon General of the Army. Dr MacIvor, D.O.M., A.P. returned from William Beaumont Army Medical Hospital, and FT Bliss Texas, to Orlando, and has decided to go south. 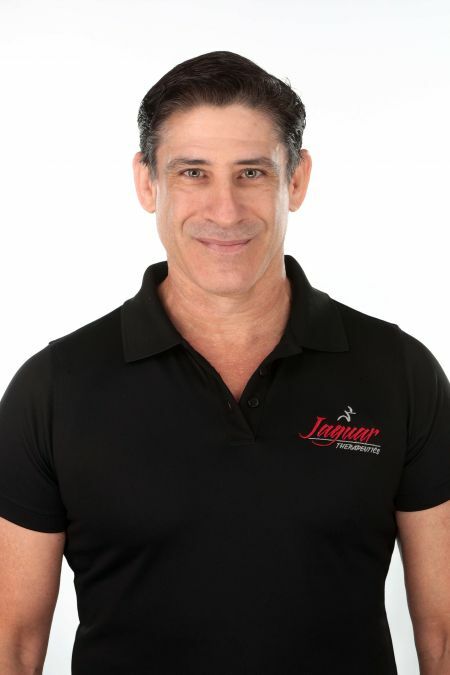 Dr MacIvor has joined forces with Jaguar Therapeutics, and is now treating out of the new Delray and Ft. Lauderdale locations. Prior to working for the government, “Dr MAC” taught as a Professor and Clinical Supervisor for the Florida College of Integrative Medicine, and maintained a private practice in Orlando, FL. “Dr MAC” became renowned for his pain reduction treatments and wound healing abilities with many of today’s most elite athletes. His reputation has brought him athletes from Great Britain, Germany, Scotland, Bahamas, Jamaica, Ukraine, Japan, and across the United States. “Dr MAC” was present and treating patient/athletes at the 2008 Beijing, China Olympic Games. His patients went on to win gold and silver medals. “Dr MAC” has worked with Cirque Du Soleil performers, World Strongest Man competitors, Professional Body Builders, Professional Track & Field athletes for NIKE and Adidas, Professional MMA fighters, Professional Wake boarders, Professional Ironman competitors, and PGA golf heroes; and wrestlers from the University of Central Florida; treating everything from torn muscles, and tendon injuries, to pain and post-op healing. “Dr MAC” is trained in the western side of the medical house through the US military where he was part of the Special Operations medical program. He is able to integrate his western biomedical knowledge with that of the Oriental Medicine modalities to get a quick, sound healing for his athletes and general patient population, and prides himself on being able to reduce a vast majority of his patient’s pain levels on their very first visit. “Dr MAC” is trained in both Traditional and Classical acupuncture and is certified in Advanced Acu-point Injection Therapy. Aside from treating pain and sports injuries; as a General Practitioner in the state of Florida, “Dr Mac” also has had great success in treating digestive disorders, stress & anxiety, as well as gynecological and fertility issues, etc. “Dr MAC” uses Acupuncture, Acupressure, Acu-Point Injection Therapy, Electro-Acupuncture, Auricular Acupuncture, Chinese herbal prescriptions (Topical and Internal), Homeopathic medicine, Tui Na Chinese Therapeutic Massage, Manual Therapy, Cupping and Moxibustion, and Neuromuscular Reeducation to create a sound healing for his patients. He treats a variety of musculoskeletal issues such as muscle and soft tissue injuries, neck and back pain, joint pain and injuries, post-operative wound healing, tendon and ligament injuries, and an array of sports injuries and traumatic wounds. Dr. David MacIvor, D.O.M., A.P. is a graduate of the Florida College of Integrative Medicine. He is NCCAOM Nationally Board Certified, and Florida State Licensed. “Dr MAC” has lectured on Acupuncture and Oriental Medicine at colleges and universities here and abroad, and has hosted lectures on medical radio programing. “Dr MAC” is a 16 year veteran of the US military, and was head coach of the Army Europe, Augsburg, Germany Wrestling Team. “Dr. MAC” has been wrestling Free Style and Greco Roman for 28 years and has competed at the international level. “Dr MAC” practices Win Chun Kung Fu and also competes in Jujitsu.